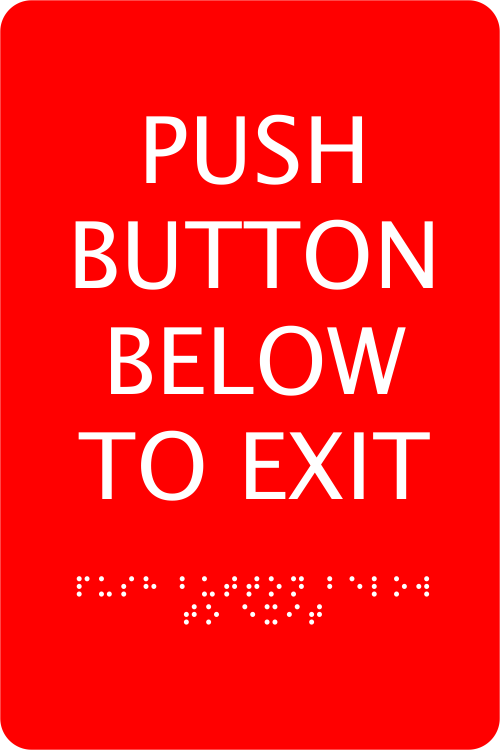 With an ADA Braille Push Button Exit sign, security buttons on exiting doors can be clearly labeled while meeting ADA compliance. With security systems being incorporated into more business, office, and retail spaces, clearly marking exit buttons is important to safety and traffic flow. All signs are Made in the USA. Several color combinations available.